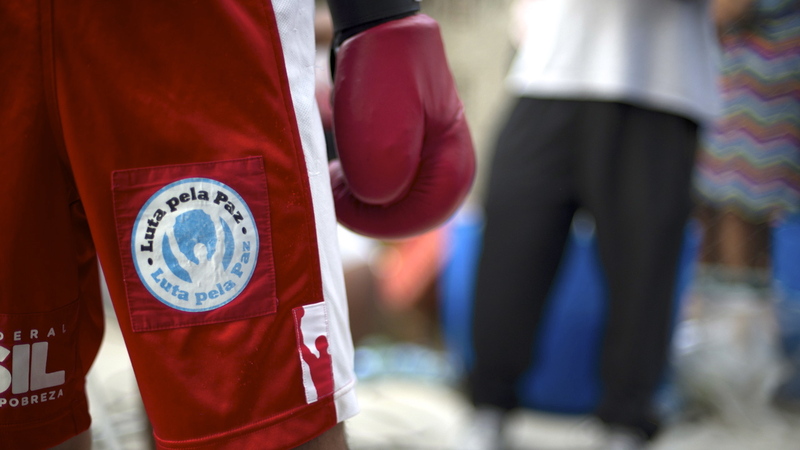 Fighter Marlon Cavalcante warms up before entering the ring during a community boxing event. He is representing the team “Fight for Peace,” a non-profit organization that uses boxing and martial arts to deter youth from entering the drug trade. 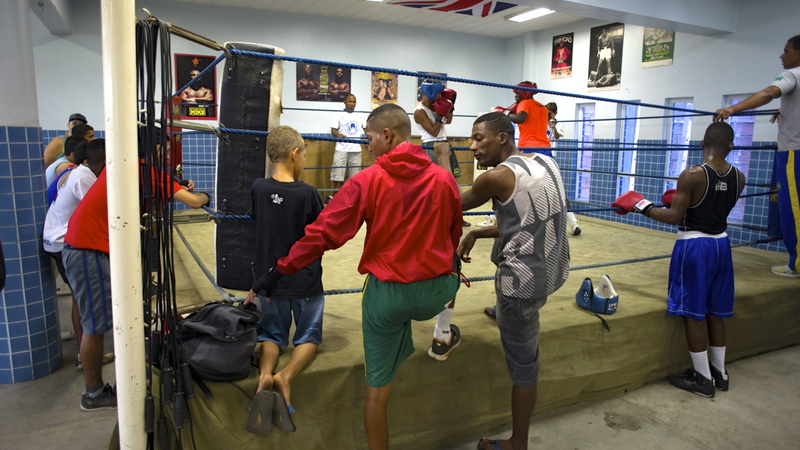 Fighters observe a sparring session during training at the “Fight for Peace” gym. The headquarters are located in Nova Holanda, an unpacified favela located in a community of 16 favelas called the Complexo da Maré. 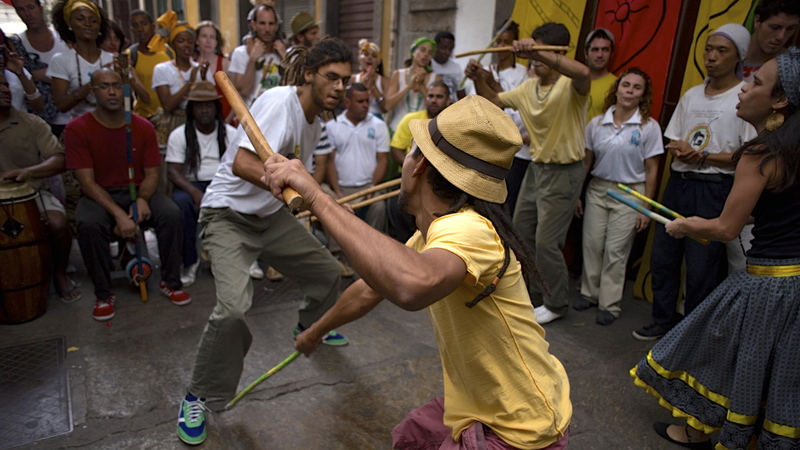 Two “Fight for Peace” members take part in a dance during a festival held in August. Apart from a training area, the gym also functions as a space to hold celebrations, self-development classes, and community meetings. 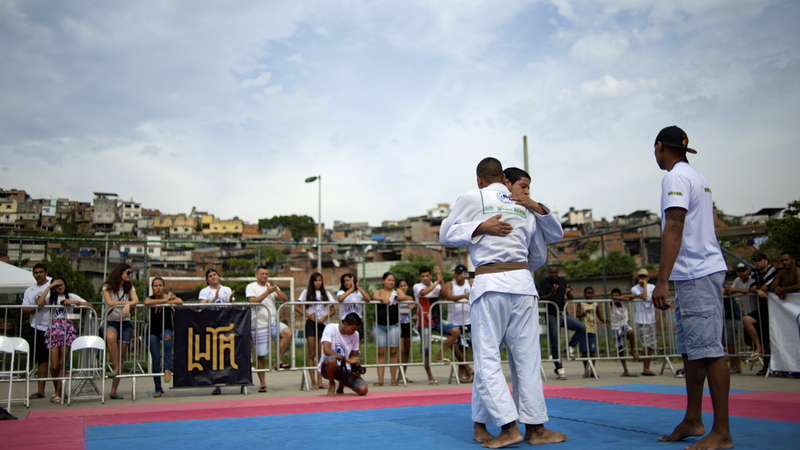 Two “Fight for Peace” Jiu-Jitsu practitioners embrace after their exhibition match during a community event in the favela Baixa do Sapateiro. 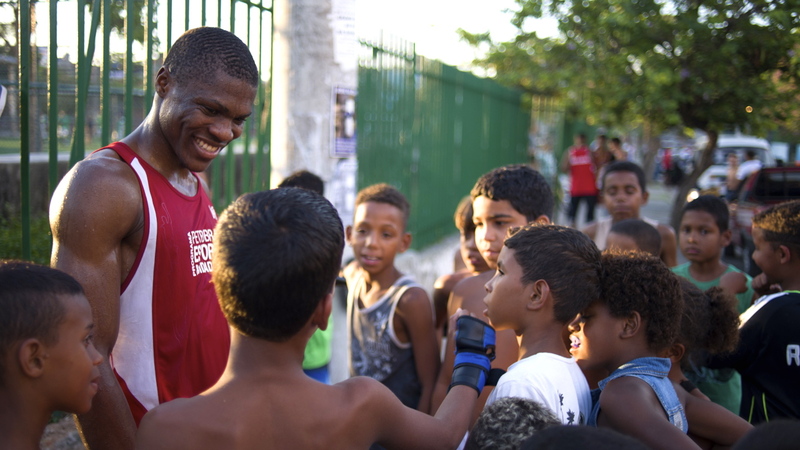 Fighter Michel Willian speaks with youth from the audience after winning by 1st round Technical Knock Out (TKO) in a boxing event in Baixa do Sapateiro. 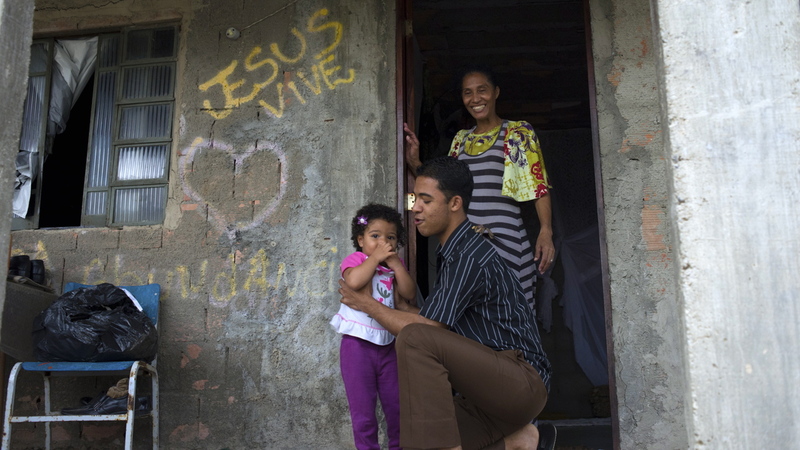 Man picks up his baby niece in front of his residence, which also serves as a local church in the Fazenda dos Mineiros favela of São Gonçalo.